Hey R-Fans! You sure all heard of Foursquare. It has more than 45 million users but it´s potential is not recognized by much people. 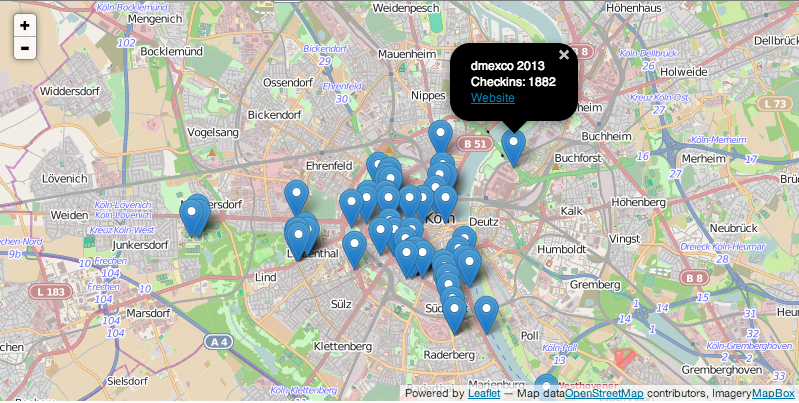 So today I want to show you how easy it is to get your check-in history and visualize it with rCharts and a leaflet map. To start we need to create a Foursquare app. We can do this at https://foursquare.com/developers/apps Click on the green “Create a new App” button. This leads you to the settings page for your new app. Enter a name and a website address for your app. You can be creative and type in whatever you want. Click on “Save Changes” but leave the screen open as we need to edit it later. On the overview screen you can now see your Client id and Client secret. 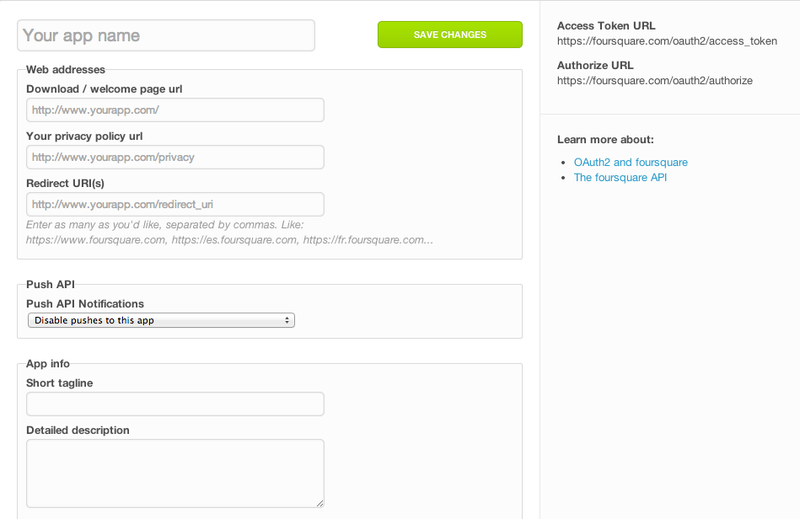 We will need them for the authentication with R.
It will ask you to edit the Foursquare app settings. To do so go back to the app you created on the Foursquare website, click on “Edit this App” and add the URL at “Redirect URLs”. Then hit enter in your R console and the authentication will go on. 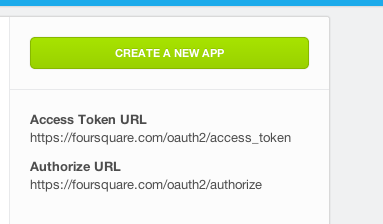 Log in to your Foursquare account and allow the app to access your account. The function then returns a token which we will use for our API calls. Remember that you installed the ThinkToStartR package in the dev_mode. So it will disappear as soon as you close the R instance. df$venue_address[i] <- "No Address Available"
df$venue_city[i] <- "No City Available"
Now that we have our dataframe we can visualize it with rCharts. We will calculate the mean longitude and latitude values of our venue history to set the initial view of our map. Because it wouldn´t make sense if most of your check-ins are in Germany but the initial view of the map shows the USA. In the next step we will add a marker for every venue in the dataframe. We also create a popup for every marker which shows additional information. Very awesome. Thanks for posting. I will greatly appreciate that if you might give me any solution on that. Thanks! Also what does the data refer to in your “Get all your data” part? How can I get the data from my fourquare API? Thanks! do you use a windows computer? The data part was done with my thinktostartR package.